A Hololens demo in 2018. Last year, Microsoft won a $479-million-plus contract with the U.S. Army to build Integrated Visual Augmentation System (IVAS) prototypes that a government document described as intended to “accelerate lethal defensive and offensive capabilities utilizing innovative components.” This weekend, CNBC got a look at what Microsoft has been cooking up in the form of a modified HoloLens 2, and—though it seems like they got more of a high-end demo than a look at anything refined yet—it looks as though the military is getting what they wanted and what Microsoft employees who signed a letter in February 2019 protesting the project feared. Other uses of the technology include allowing commanders to receive images directly from a subordinate’s IVAS. The system is currently being tested in training exercises (such as kill houses) and is said to be able to display “after-action” reports containing metrics on soldiers’ performance. Again, Call of Duty players might recognize this sounds similar to an end-mission screen. The Army told CNBC that it hopes to have “thousands and thousands of soldiers across the force” using the system as soon as 2022, and have it in widespread deployment by 2028—but the U.S. military is notorious for pouring countless billions into prototype programs that never get fielded, including a Future Combat Systems project intended to integrate troops and vehicles with suites of sensors that would provide continual feedback during battle. It’s not clear how much IVAS would cost on a per-unit basis (CNBC noted the consumer version is $3,500) or how flexibly the system could operate in real-time on battlefields that might end up looking quite different on the ground than from a satellite dish. (For example, it’s not like every building troops go into will have readily available, digitized blueprints). There’s then the issue of whether equipping troops with complex digital assistants could hinder them if they are compromised by the enemy. Again, this is an argument that sounds nice on paper. But critics have often alleged, for example, that the surgical strike is largely a myth propagated by the military to justify operations with a high risk of collateral damage (i.e., dead civilians). In any case, the argument that IVAS will make soldiers more efficient at killing the right people is not likely to persuade anyone who believes that there is an inherent problem with using technology they worked on to increase the efficiency of killing. 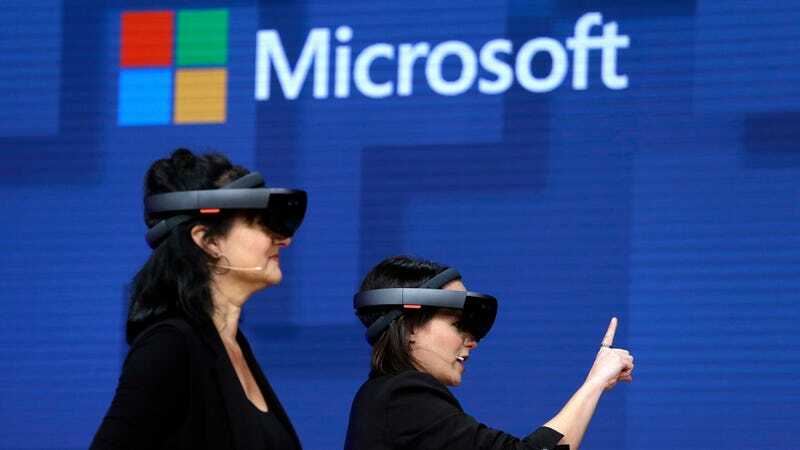 Microsoft is moving forward with IVAS at a time when the relationship between big Silicon Valley firms and the military has become a major point of contention. Its bid for a major cloud computing project code-named JEDI came under similar employee protest, which Google had abandoned alongside its drone-imaging Project Maven after similar outcry from rank-and-file staff. Numerous other major tech firms are also working with the Pentagon on a variety of projects.